It is always found that physicians, physician assistants, nurse, nurse practitioners and other health professionals frequently encounter work related safety and health question while they are on their job. The present article will enlighten the readers with adequate information and resources and help the clinicians with adequate knowledge about OSHA (Occupational Safety and Health Administration). The article discusses about all types of ethical, clinical and regulatory issues. All most all the relevant issues such as specific occupation, hazardous exposure, occupational health topics and specific industries have been discussed about. The mission of OSHA is to ensure safe and healthy working conditions for both women and men by the development, settlement and enforcement of standards, in addition to providing training, education plus outreach and compliance assistance. The law ensures safe workplace for the employers. OSHA is up on its toes to spread site-specific information. In its SST (Site-Specific Targeting) -12 releases it has emphasized on inspection plan, that specifies establishing OSHA in the SS-inspection. The target list here bases DART (Days Away, Restricted or Transferred) rates and DAFWII (Days Away from work injury and illness) rates. OSHA maintains a record of high-rated employers for undertaking inspection. SST related information is available from OSHA record keeping data companies, these companies are supposed to maintain these data. OSHA Data Initiative or (ODI) handles these data collection responsibility. OSHA is targeting the manufacturing facilities through DART rate minimum or above 7 percent; while its DAFWII target rate is minimum 5 or above. The DART target rate is 15.0 for the non-manufacturing facilities and for the DAFWII the rate is 14.0. It is well known that flu season in this year is very much rough. As per NYDaily, 29 states were reeling under severe or high prevalence of this disease / this epidemic (CDC source). If compared with the records of last 10 years, this year’s case has been considered as the worst one. 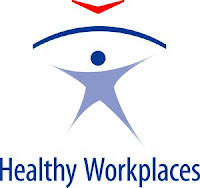 OSHA has launched a dedicated flu related web page for helping both employees and employers. * You must not forget to wash your hands or use hand sanitizer if you are tackling your blowing * nose, sneezing or coughing. * Avoid using other workers’ work tools, office desks, phones and other equipments. * If possible, avoid or minimize group meetings, rather make use of text messaging, phones and e-mails. If not possible, avoid close contacts and keep yourself away at least by 6 feet from others. * Your meeting room must be properly ventilated. * Try to maintain a healthy life style by paying adequate attention to diet, rest, relaxation and exercise. If you practice all these you can maintain good emotional and physical health. According to the general perception of the OSHA, health workers take the front seat in the matters of tackling occupational injuries. The dedicated webpage is aimed at helping all categories of health professionals such as Physician, assistant physicians, plasticizing nurses, nurses and other medicos to know about the areas like different types of occupational health, regulations and laws that are related with privacy and reporting. Other than all these, Additional OSHA Resources can be available from additional Professional Resources, Clinical Resources, Academic Resources and Government resources. The page is very helpful for safety professionals, HR personnel and many others. OSHA has highlighted on the information pertaining to (I2P2) Injury and Illness Prevention Program, although it is in its PreRule stage. The upcoming expected program is NPRM, scheduled to be held at December 2013. The final rule stages of these issues are record keeping about illness and injuries, in addition to the reporting requirements plus the revision and updates. The final actions pertaining to all these are expected to be taken place is on May 2013. At this stage, employers are bound to report to OSHA as quick as possible or within 8 hours, if three or more of their employees are sent for hospitalization. The number is less, if the patient comes under the in-patient category. The medical professionals, dealing with establishing or working in any health practice, where occupational hazards are involved, have to follow many procedures and protocols when they are in their practice session in industry / freestanding clinic / large clinic / corporate clinic / and any such other establishments. Therefore, following information will be of much help to all the clinicians dealing with the occupational health safety & protection issues for both working men and women. * Creation / review of procedures and policies that must comply not only with the OSHA standard, but also with other licensing and certification bodies, should be your prerogatives as a clinician. 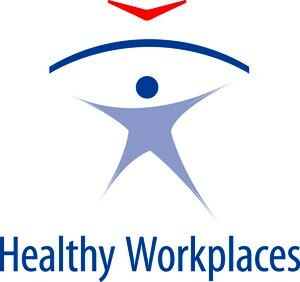 * As a clinician, Identification of health hazards that have connections with all types of occupations, such as psychological, physical, chemical, ergonomic and biological in any type of industry or self-employments, should be responsibilities. * As a health professional, while on medical surveillance or performing or deigning worker examination, you must be careful about adhering to OSHA regulations. * You must implement those preventive measures that are attached with the occupation connected health risks as a practitioner. The examples are you must protect workers from hazardous communicable diseases and Blood borne Pathogens. * You must understand applicable local and state regulations that are connected with vaccine or pharmaceutical storage, medical waste and workplace safety requirements. * You must be well acquainted with calibration, procedures and screening protocols required for the equipments being used, they are audiometers and Spiro meters, and also with the certification mandatory for the staff who are engaged in testing. * You need to integrate safety education and workers’ health in to your clinical practice, as much as possible. * You need to be aware of safety and health training, as is mandatory on the part of employees to its workers. * You must follow confidentiality and ethics attached with occupational health. In the fields of occupational health, ethical issues are common. ACOEM (The American College of Occupational and * Environmental Medicine) is the custodian of addressing the fundamental issues, because they are attached with the practices of occupational health, as far as they are introduced with the ethics of ACOEM’s code. * Occupational health nurses must also keep reviewing code of ethics of AAOHN (American Association of Occupational Health Nurses). * Confidentiality of Medical Information. This is an important issue. It is important that you must have the work history. Taking the history of environmental and occupational exposures is one of the most important tools that any clinician should have for evaluating any worker for any type of work related illness or injuries. When dealing with the fitness of duty as well medical surveillance examination, any clinician must have the history of the job duties and occupational history of the worker. As a professional, the clinician must understand a worker’s job exposure, job environment and job responsibilities. At the time of evaluating an injury, a clinician must have the detailed history of the worker, so that the former can determine the mechanisms of injury and are engaged in recording ergonomic factors and specific work tasks that are thickly connected with the injury or illness. The factors that are important in this issue are: exposures to biological and chemical hazards, previous work injuries, temperature or such types of environmental factors, tools used recent changes in work process or job tasks, overtime, per day working hours etc. It is also important that worker and workplace related cultural factors, such as his / her primary language must be recorded. ATSDR stands for a good resource in the matter of “Taking an Exposure History”, dealing with the case studies and discussions pertaining to taking an environmental and occupational exposure history [473 KB PDF, 65 pages]. As a professional, clinicians have to deal with occupational health related different types of records. These professionals need to differentiate between the records, the latent confidentiality issues and the rules, pertaining to the records, being specified there-in. Personal medical records are those ingredients that clinicians remain knowledgeable. The records may pertain to routine preventive care, documents related to personal health care, care for chronic diseases and acute illness care. Work exposure can be identified by the clinicians if they obtain SDS (Safety Data Sheets) for the situations where workers were exposed to in their work environment. SDS was previously known as MSDS (Material Safety Data Sheets). Employers are supposed to obtain SDS if they are connected with the all-hazardous chemicals. SDS must be made available by the employers to the employees who are susceptible to the exposures. Clinicians, dealing with investigating work related injury or illness must ask the employer or the worker, after obtaining latter’s permission, for the SDS copies. Clinicians have the authority to directly requisite the SDS from the manufacturer. As a professional, clinician must remain acquainted with the first aid procedures, as envisaged in the SDS. Clinician must also be having the knowledge of training being imparted to the workers. They (clinicians) must also explain the workers about the health hazards, as and where applicable. For knowing about the surveillance, program and screening of workplace are enlisted in the SDSs. While dealing with exposed workers, health professionals have the right to ask for the SDS from the employers or from the manufacturers. Health professionals can also ask for proprietary ingredients, which may not be enlisted, as a matter of trade secret. In the matters of occupational health practices, medical evaluations encompass surveillance programs for the people who are engaged in hazardous occupations such as asbestos, lead etc. and clearances for specific jobs duties like screening and using respirators etc. As a goal objective, any medical screening must detect clinical abnormality or disease, before any one falls sick out of it and seeks medical care, especially in those cases when early treatment makes the difference for the patient. The function of medical surveillance is to analyze the health information and enquire about the problems may have occurred in the workplace and needs necessary preventions. If any case is considered as sentinel event or a single case, but requires screening results from those employee groups who are being evaluated for being detected for abnormal health status. Another part of this issue is biological monitoring, that is one of the parts of surveillance examination or screening, for assessing chemical exposures by the analysis of urine or blood or in some case examination of exhaled breath. Besides these, individual state has their own laws about the confidentiality and personality of personal medical records. Among these above three acts, in the first one, HIPPA empowers the employers to have access to some health information that are protected, if the disclosures need to be compatible with laws that has connection with workers’ compensations. There are also some provisions in the HIPPA, through which disclosures can be made as per the requirements of federal or state laws and regulations. Naturally, the health professionals must be careful about the confidentiality when they go for piling up patient information in the occupation based medical records. It is a common practice by the occupational health clinicians to keep personal health information that may also relate to medical conditions that are not related to work and devoid of exposure records. A few of the OSHA standards entail that employers must secure written opinions from the clinicians engaged in medical surveillance examinations. According to this standard, employers are supposed to instruct the physicians not to mention in writing about the diagnosis or specific findings pertaining t occupational exposure. “Access to Employee Exposure and Medical Records" (29 CFR 1910.1020)”, which is one of the OSHA’s regulation, necessitates retentions of medical records of occupations for not less than 30 years after a worker is terminated. This is necessary for getting access to the employee’s record even after leaving the job or being terminated. As per the regulation, both exposure and medical records need to be retained. Employers are supposed to provide these records to the employees within a fortnight of request, without charging any thing to the employees. For further information, you can refer to OSHA Publication’s Medical and Exposure Records [1 MB PDF*, 8 pages]. According to this regulation, (29 CFR 1904) binds the employers to maintain document specific information that are related to work related injuries or illness, provided the employee number is more than ten and the occupations are not in the categories of real estate, insurance, finance, low hazard retail etc. Employers may consult the clinicians for deciding about the mandatory and non-mandatory references to be made in their (employers) logbooks. Every type of work related illness or injuries that require medical interventions, above the first-aid stage, must be mentioned in the record book. Other than this, all types of work related fatalities must be entered in to the record. For further reference, Injury and Illness Recordkeeping and Reporting Requirements page of OSHA can be of much use. OSHA & workers’ compensation are distinctly definable. The following information can be vital for all the clinicians, especially for those who are newly related with the occupational health; because every single jurisdiction is different, so naturally, all the clinicians must be well aware of local procedures and policies. Any one can refer to the lists of federal & state agencies and their websites. Besides this, Department of Law and OWCP (Office of Workers' Compensation Programs) can be contacted for further information about workers’ compensation for all types of federal employment, including for the coal miners, nuclear energy workers, harbor workers and long offshore workers. Clinicians must also be careful of avoiding non-work-related medical examination & the related medical recording for maintaining workers’ confidentiality. Clinicians must know that personal medical records and the medical records that are related to workers’ compensation must be kept separately. It is the responsibility of the clinicians to report about he health hazards to the employer, if the former finds the working conditions of a working place to be unhealthy or unsafe. It is also the responsibility of a clinician to maintain the patient’s confidentiality while discussing with the employer. For further information, refer to (Ethics and Confidentiality in Occupational Health). Clinicians are empowered to complain at any time to OSHA about the unhealthy or unsafe or hazardous working condition. OSHA has toll free number 1-800-321-OSHA (6742) for 24 X 7 hours of contacts, especially for emergencies. In case of any work related death of an employee or if three or more employees are hospitalized as inpatient due to work related incident, employers are supposed to contact OSHA within 8 hours after death. All the employers are supposed to maintain OSHA standard in their workplaces. One of the mandatory resource offices related to Dental & Medical office, [as is mentioned in 238 KB PDF*, two pages], is necessary if the employee strength is even 2 or 200. OSHA’s Safety & Health topic page is also helpful for the employers and clinicians. OSHA has also digital platforms such as Nursing Home eTool and Hospital eTool. OSHA maintains an office for Occupational Medicine in the name of OOM, which include those medicine physicians who are board certified and attached with OSHA for providing public health and other medical related expertise. The physicians who are in need of knowing different information health and safety can call the office. Professionals like Occupational Medicine Residents, with the interest in OSHA’s Training rotation must contact the residency program director at 202-693-2323 (OOM office). Another office, OOHN (Office of Occupational Health Nursing) under OSHA, makes uses of foundations of occupation related health nursing by collaborating with OSHA and other related departmental agencies. They also take interest in initiating projects and develop programs that can develop programs pertaining to work related injury and illness. A few of the selected areas include workplace violence, blood borne pathogens, recordkeeping, ergonomics, occupational health surveillance and occupational health management. Further to this, you can contact at (202) 693-2120 for more information.